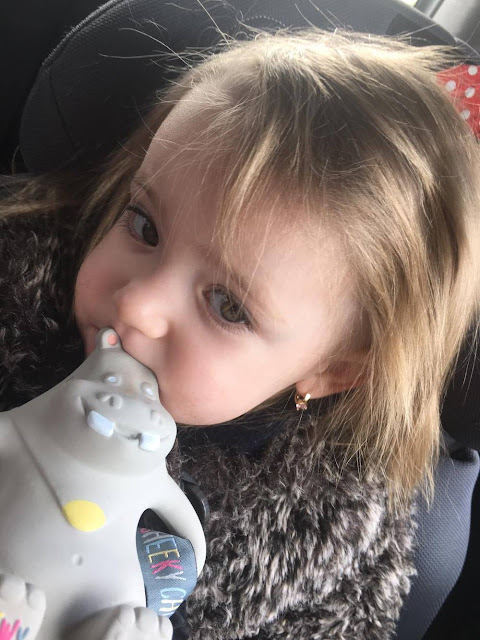 Recently my niece Baby K was asked if she'd like to go on an adventure with a new teething toy called Chewy from Cheeky Chompers! With Baby K's chompers (teeth) continuing to come through at what seems to be a ridiculously slow rate, we knew we had to give Chewy a try! 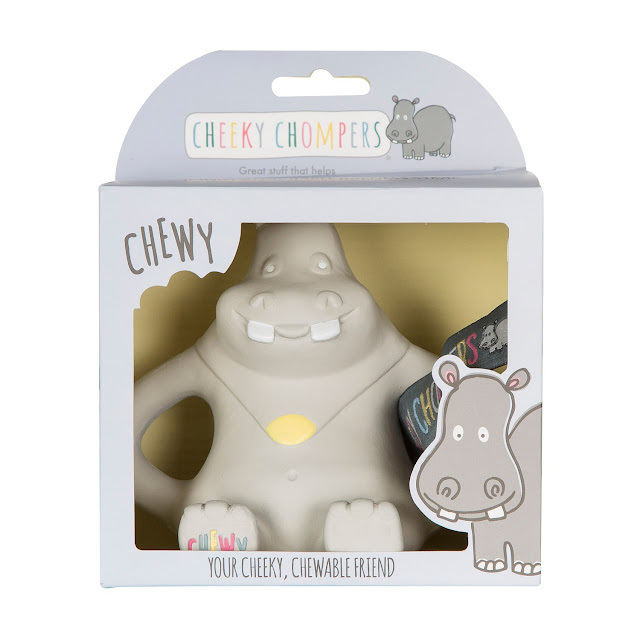 Chewy is like no other teething toy on the market, it's been created by the same fabulous people who created the award winning Neckerchew and Comfortchew, so we had high hopes on the new must have teething accessory that is Chewy! Chewy didn't fail us with our expectations, he amazed us and exceeded our expectations if anything! Chewy is one lovable hippo who has been on adventures with us all over the place, he's not keen on the rain (who is!) but loved the drier weather as it meant we could get out and about! 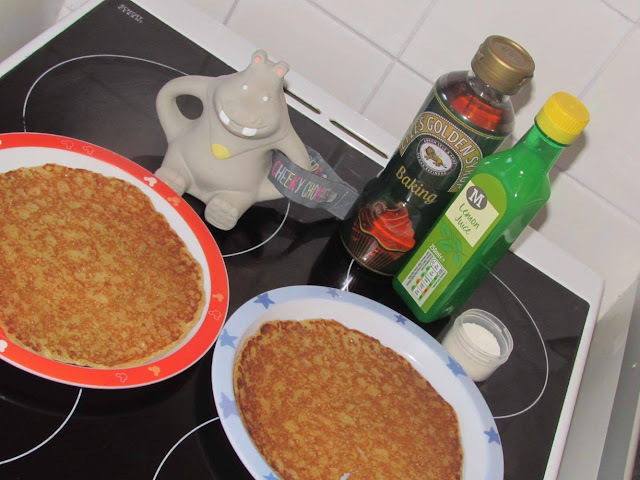 He did however have one lovely rainy day as it meant he could stay in, make and eat pancakes with us! 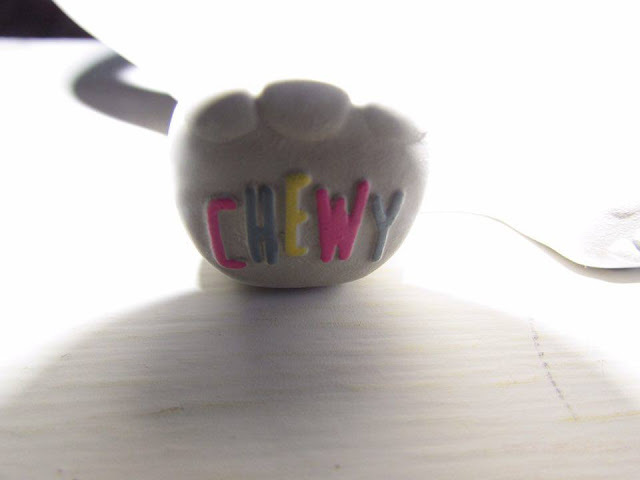 Chewy is made from soft natural rubber, so is very easy to clean! 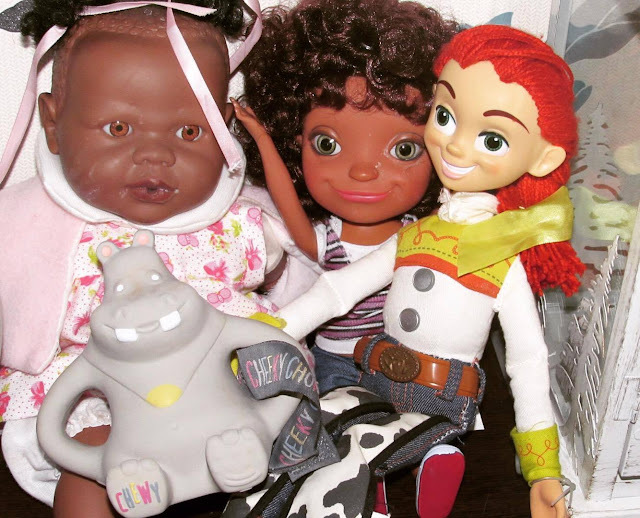 Which is a good job really as Baby K tried to feed him a sticky pancake, along with the rest of her toys when they had a pancake picnic! Chewy provides a unique sensory experience with textured chewable features, a soothing smell and an audible squeak to stimulate all senses! Chewy is also attachable with his handy harness velcro strap, so there is no worry of him getting lost! Which is a good job really because the next adventure Chewy went on was a visit to the swings! Chewy contains no phthalates, will never flake or peel, and is 100% safe for babies and toddlers to chew! 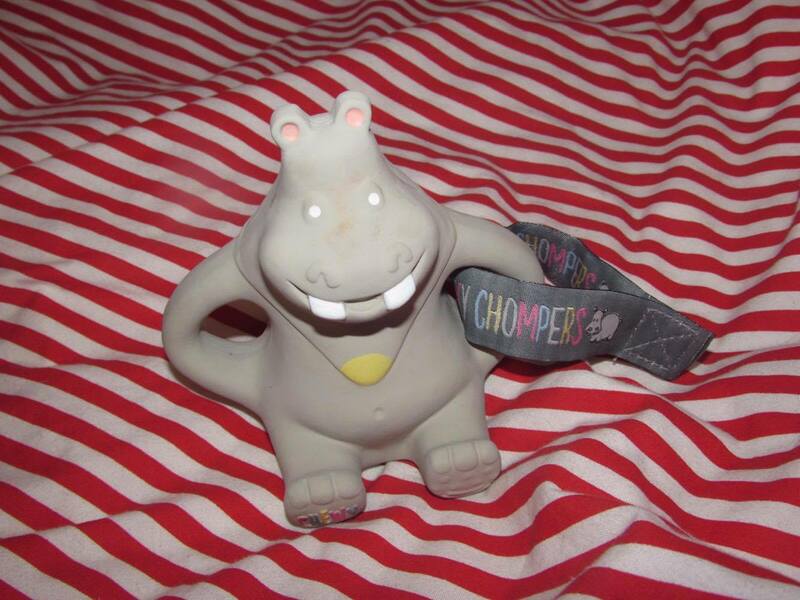 With his chunky rubber handle arms Chewy is great for babies and toddlers to hold, in bed, in the bath, at nursery, in the car, you name it! 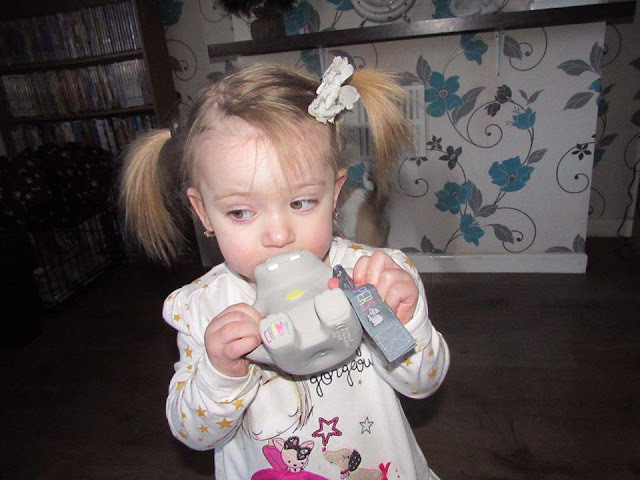 Baby K is really struggling with a side tooth at the moment, and it seems to come on worse at bedtime, maybe because she doesn't have as much energy as she usually does! Luckily Chewy, her new friend was there to help her through the discomforting pain! Baby K was soon asleep in bed with Chewy by her side. 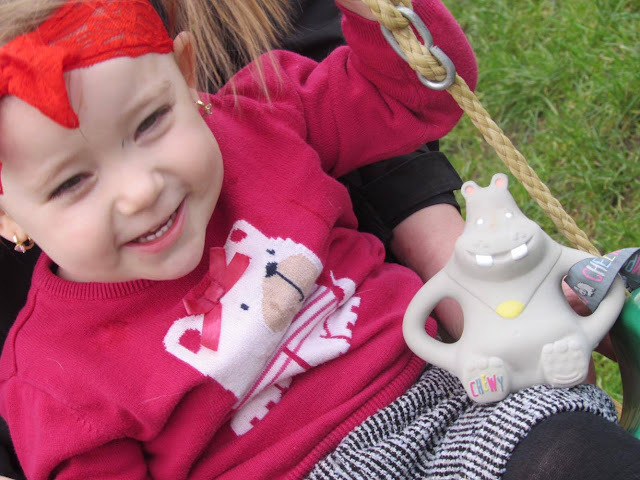 Baby K loves Chewy and is trying to say his name, he's not only a teether but a comforting toy for life! Every morning and constantly throughout the day if she loses sight of him for one morning she calls out his name (loubiiii)! 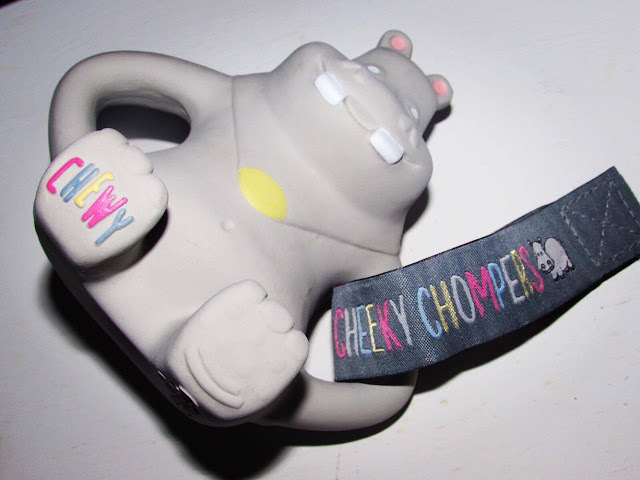 Chewy is available to buy from Cheeky Chompers for just £10.99, along with the other great Cheeky Chompers items, the Cheeky Blanket, the Neckerchew and the Comfortchew.